The new-generation Silverado is here. 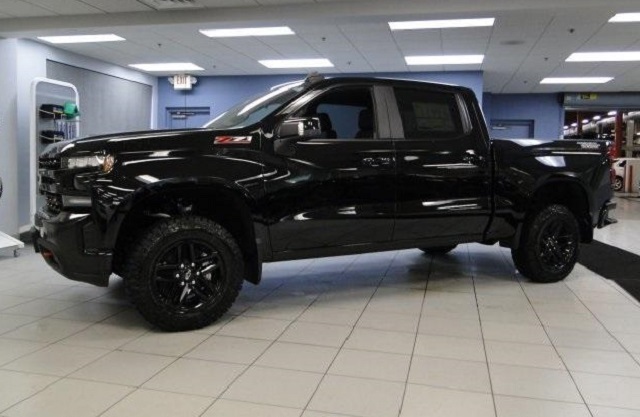 The thing that has always been great about this truck is a variety of versions in the offer. The new generation comes with even wider choice. 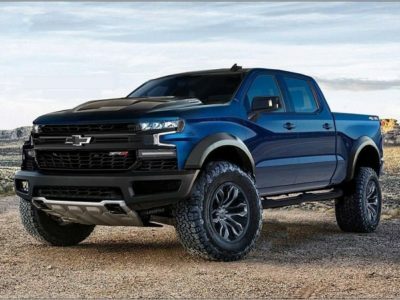 There is a completely new version called 2019 Chevy Silverado 1500 LT Trail Boss. It is an off-road oriented truck, which comes with numerous modifications compared to base models. You will notice lots of visual upgrades first, but this model also comes with a few mechanical modifications, including higher ground clearance. Also, the great thing about this version is the fact that you can choose several different engines. The list of standard equipment is also on a high level. 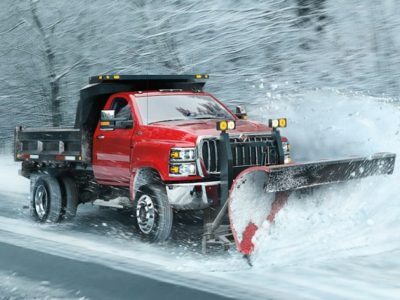 Seem it will be a great choice for many Silverado buyers. Speaking of base design characteristics, the 2019 Chevy Silverado 1500 LT Trail Boss isn’t too much different than other versions of the truck. 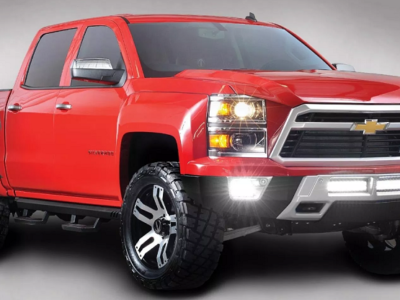 The new Silverado came just recently, with a plethora of novelties. This includes a completely new platform, which brings several new design solutions and technologies. The new model is lighter, more efficient, more agile and, eventually, more capable. This version sticks to all these novelties and even comes with a few upgrades. Of course, the most important is a different suspension setup. 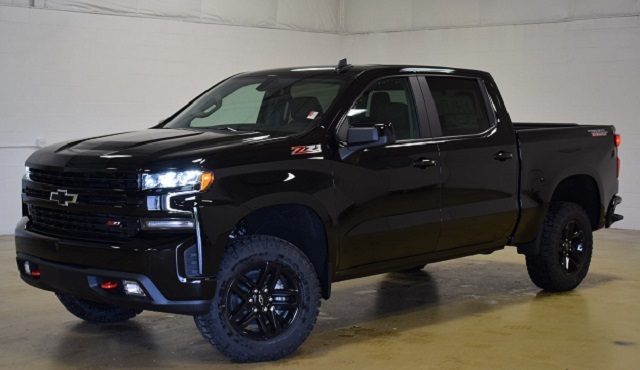 The 2019 Chevy Silverado 1500 LT Trail Boss features a 2-inch higher ground clearance, which definitely has a positive effect of overall capabilities. 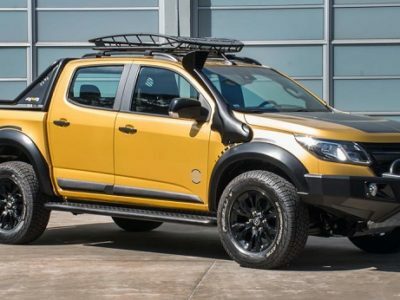 Still, don’t expect from this truck to match Raptor in terms of off-road performances. This model is much more about cosmetics than actual performance upgrades. As we already mentioned, the 2019 Chevy Silverado 1500 LT Trail Boss is most about visual upgrades. While mechanical changes are pretty modest, a variety of new visual details makes this truck pretty distinctive. The first thing you’ll notice on this model is a blacked out front fascia and bigger, off-road wheels. Other than that, you can notice many smaller unique details. All in all, consider 2019 Chevy Silverado 1500 LT Trail Boss something like Ram Rebel’s direct rival in terms of both style and performances. 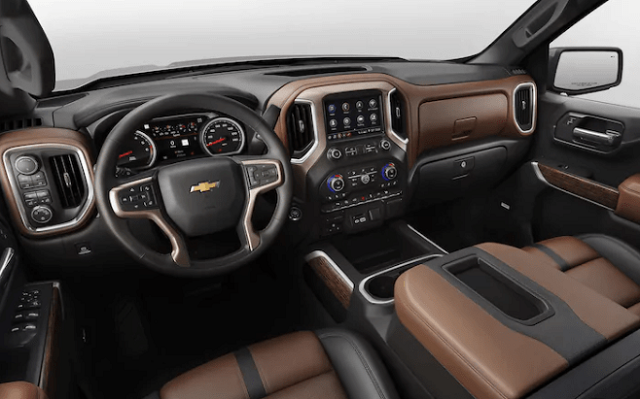 Inside the 2019 Chevy Silverado 1500 LT Trail Boss, you won’t notice too many differences compared to base models. Of course, there are things like unique color schemes, as well as a few small details, but the overall cabin layout is pretty much the same, which is actually good. The cabin is spacious and features pretty good sound isolation. When it comes to standard equipment, it also looks pretty good. You can count on a nice dose of convenience in this truck. In terms of tech features, obviously, you can count on the Chevy’s latest infotainment system, large 8-inch touchscreen, wireless charging, satellite radio, 110-Volt power outlet, smartphone integration, Bluetooth, USB and much more. In terms of comfort, count on things like leather-wrapped steering wheels, power-adjustable seats, dual-zone climate control and much more. One of the best things about the 2019 Chevy Silverado 1500 LT Trail Boss will be a variety of engines in the offer. Just like in base Silverado models, the offer will start with a new 2.7-liter inline-four. This is the first time Silverado has a four-cylinder engine in the offer. Thanks to its amazing efficiency, it delivers a pretty respectable amount of power, on par or even better than most V6 units around. 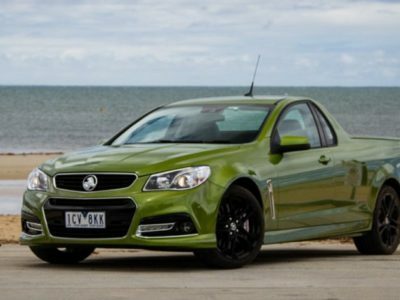 A total output goes around 310 horsepower and 350 pound-feet of torque. Also, fuel economy is on a pretty high level. It goes around 20 mpg in the city and 23 mpg on a highway. The 2019 Chevy Silverado 1500 LT Trail Boss is also available in a version with eight cylinders. There is a familiar 5.3-liter V8 engine, which for this occasion delivers around 355 horsepower and 383 pound-feet of torque. Unfortunately, the larger, 6.2-liter engine is not available for the Trail Boss. It is reserved for higher trims only. Finally, there is a great news for all those economy-minded drivers. 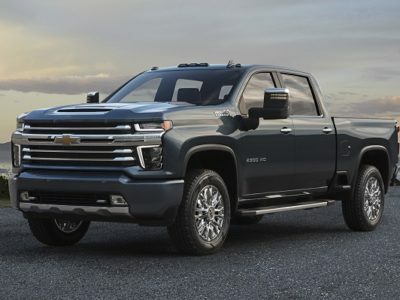 The 2019 Chevy Silverado 1500 LT Trail Boss also comes in a diesel variant. Of course, it features a familiar 3.0-liter inline-six turbo diesel unit. This engine features a max output of 282 horsepower and 450 pound-feet of torque, which is much more compared to main diesel rivals from Ford and Ram. Fuel economy is also pretty good and goes close to 30 mpg on the highway. 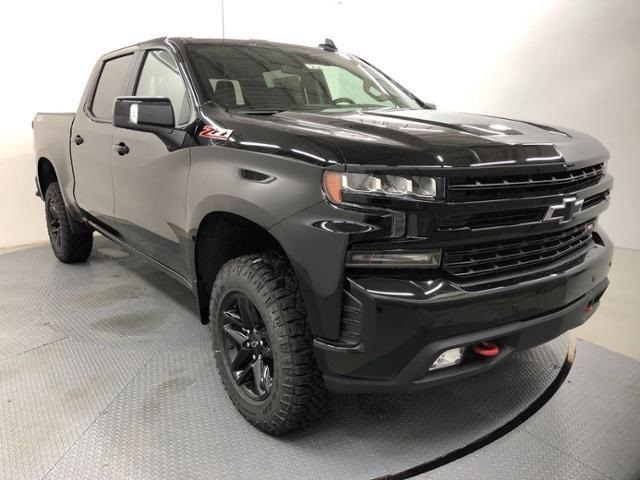 Considering that 2019 Chevy Silverado 1500 LT Trail Boss comes with several engines in the offer and with different lists of standard equipment, the price goes in a pretty wide range. The cheapest versions go around 44.000 dollars. When it comes to the competition, most experts see Ram Rebel as a potential rival.